Artmaster Pearl Rigger Watercolour Brushes are excellent value synthetic brushes for all waterbased media including acrylic which points well and has good colour holding capacity. Artmaster Pearl Rigger Watercolour Brushes are excellent value brushes. With attractive pearl coloured handles and matt black ferrules, the Artmaster Pearl Brush is made from carefully shaped synthetic fibres and is suitable for use with watercolour, ink, gouache and acrylic paints. 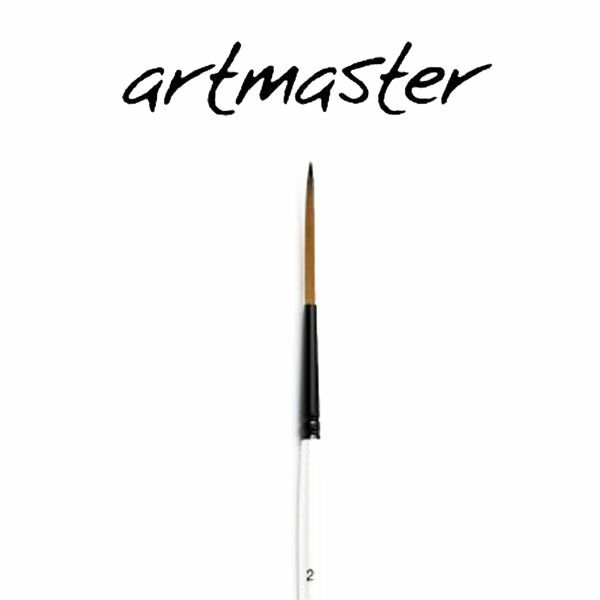 Artmaster Filbert AcrylicPainting Brushes are excellent value for money synthetic brushes for acrylic painting.